Dawson Julia, the owner of a medical marijuana shop in Unity, will tackle a different topic every week on the Cannabis Connection, which airs from 6-7 p.m. on Mondays on WFMX-107.9 The Mix. He is joined by on-air personality Chris Rush and a different special guest each week, ranging from a state representative who works on state medical cannabis legislation to a nurse practitioner who certifies medical marijuana patients to a criminal defense lawyer. Julia came up with the idea last year while listening to disc jockeys on the Augusta-based station talk about whether Maine cannabis users can buy a gun. (No, federally licensed firearms dealers can’t sell guns to people who use cannabis, even in states that have legalized it for recreational or medical use.) Julia said he was surprised at the open and honest nature of the on-air debate, and the level of interest from listeners who called the station to share their views. The Cannabis Connection launched Feb. 19. 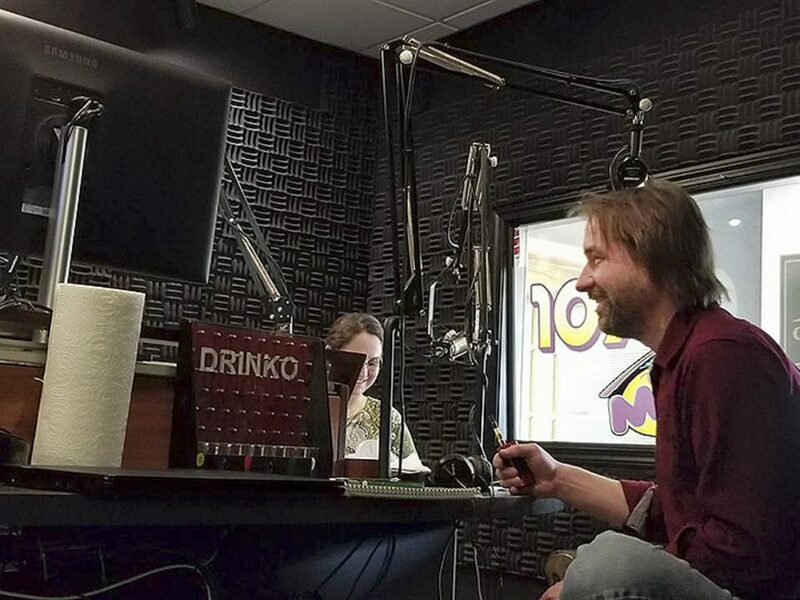 In its first month, it has been a mix of pre-recorded and live segments, with about 20 minutes of talk spread over one hour, sandwiched between ads for Taunton Bay Soap Company and Waterville Opera House and songs by Selena Gomez and Lynyrd Skynyrd. The show’s main sponsor is Medical Marijuana Caregivers of Maine, a statewide trade group on whose board Julia sits. On Monday, Julia welcomed Tom Ferris, a criminal defense attorney from Waterville, who talked about the federal prohibition on gun ownership for marijuana users and the uptick in people being charged with driving while high. Julia and Rush urged Ferris to educate listeners about the laws, but also weighed in with comments about the Draconian nature of what they believed to be unfair restrictions on consumers’ civil liberties. While Julia would eventually like to expand the talk section of the show, he thinks the heavy music rotation will probably draw in some listeners who have no experience with cannabis at all, giving Julia and his guests the chance to deliver an auditory vaccine against what he likes to call “cannabis stigma syndrome disorder.” However, he doesn’t mind sprinkling the show with some wink-wink, nudge-nudge cannabis humor.